We are a reliable, professional business dedicated to designs and finishes of the highest quality, tailored personally for the customer. We are based in South East London and cover all surrounding areas. 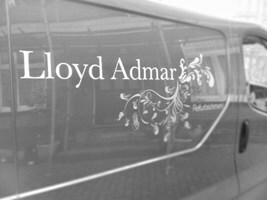 Lloyd Admar Ltd offers a full range of internal and external decorating services to home and business owners and can provide a wide range of wallpaper and painting designs. We offer a friendly, professional service to very high standards, and have over 22 year’s experience in the trade. We offer free quotes and estimates and can provide a specialist respray of kitchen units to a special finish of your own design, along with other services not listed above.